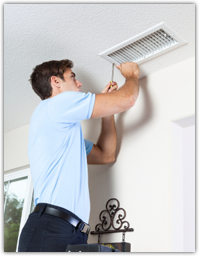 Your air ducts and vents may be to blame if you have noticed you are having allergy symptoms. Dry particles, dust mites, and airborne bacteria can reside inside of air ducts, and they may be circulating around your home. In fact, indoor air quality is much worse than the quality of the air outside. Indoor air can be six to eight times more polluted than that of the air outside. Having Tile grout Cleaning Of Houston assist you with cleaning out your air ducts may prove to be highly beneficial, not only with regards to your health but also increasing the lifespan of your HVAC system. When your unit does not need to work as hard to circulate air, you will also be saving money on your electric bill. You get this bill monthly under normal circumstances. Making the investment to have Tile grout Cleaning Of Houston come out to your location is actually one of those kinds of investments that pay off in the end. 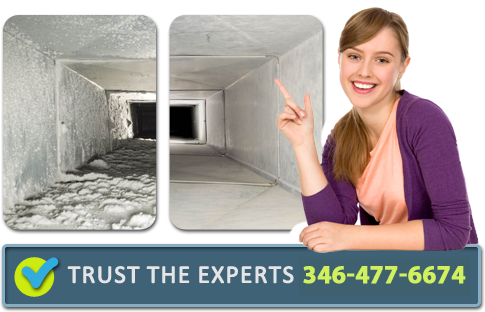 It is recommended to have your air ducts cleaned once per year. However, if you have asthma, allergies, or smokers in the home, we do advise having your ducts cleaned professionally more regularly. Like mostly everything that you would like to upkeep, such as a car with oil changes, cleaning your air ducts when needed is essential to keeping up the home maintenance. When you remove dry particles and components that restrict flow, you will be rewarded with major energy savings. Our friendly staff here at Tile grout Cleaning Of Houston will make sure to leave you with a smile. All it takes is one simple phone call to our operators to set up your consultation. We are looking forward to hearing from you and answering any questions that you may have.